Read on for top trends from WCSFP. 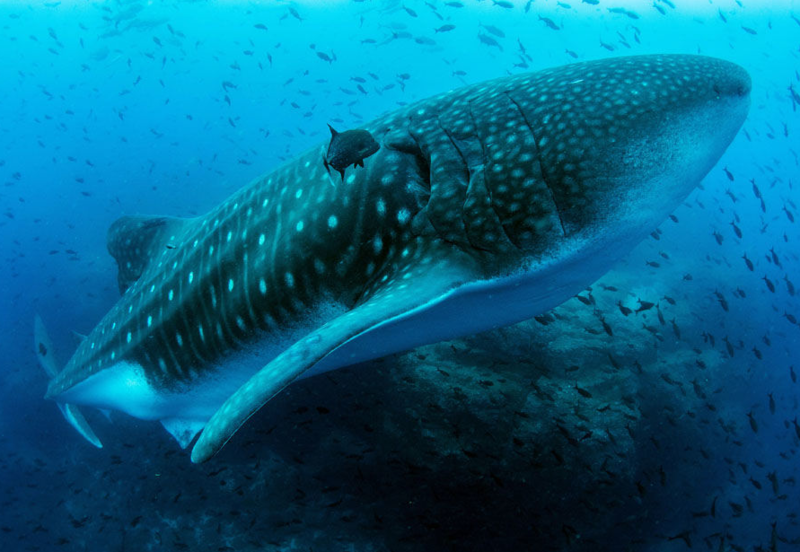 Other cutting-edge tech included Arte France’s 700 Sharks in which a customized ring of 4K GoPro Black cameras captures a shark feed in French Polynesia, and Channel 5’s Nocturnal Britain from Pioneer Productions, which uses new low-light camera technology. 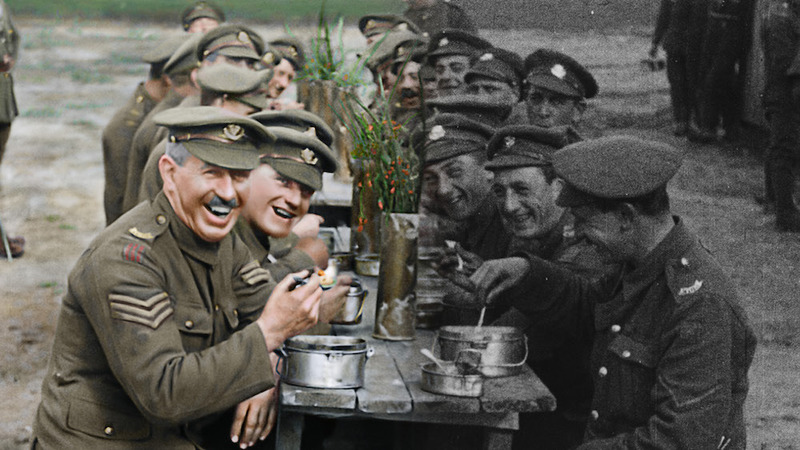 While Peter Jackson’s First World War doc They Shall Not Grow Old has recently put the colourization technique on the map, French production company Composite Films has been specializing in the colourization and restoration of black and white footage for years, working on Arrow Media’s America In Color for Smithsonian and Stranger Than Fiction’s Australia In Colour for SBS. CEO Samuel Francois-Steininger told TBI that one minute of colourization can cost between US$3,000-$10,000 and take a number of weeks. The business has a team of 50 working across various projects. The exec described a painstaking research process in order to ensure colours used are accurate, and compared the technique to a “police or forensic investigation”. With 92m monthly active users and 450m page views per day, Chinese digital player Bilibili is fast becoming a top port of call for Western broadcast partners. It is in the works with Nat Geo Wild on doc China’s Hidden Kingdoms and TBI understands the BBC is keen to work with the platform on four-part series China On Stage from Lion TV, building on an existing relationship through which the youth-skewing streamer launched local Top Gear spin-off, Borrowed Gear. One innovation out of Bilibili is “bullet chatting” – a ticker of sorts that runs across the top of its programs, featuring a running commentary from its subscribers. A similar version of the tool is used on Facebook Watch. The piecing together of international co-productions for factual has been standard practice for several years, but new broadcasters are coming to the table. As they struggle to keep up with the deep pockets of Netflix and Amazon, channels such as Discovery Science – historically more US-facing – are now engaging in co-productions, such as the Ice Age project with Channel 4. The latter is also on the look-out for more international ideas, and factual boss Danny Horan said a true crime co-production is in the works with an Australian partner. Other promising signs include the entry of cash-flush Chinese digital players Bilibili, Tencent and Youku. Optomen’s Employable Me for BBC Two was championed as one of the most successful formats of the last two years. The Australian adaptation has been a hit on ABC, which is spinning off its own show called Love On The Spectrum from Northern Pictures. Other feel-good triumphs include Tencent’s 72 Hours, an adaptation of the NHK format that shoots in one place for 72 hours, capturing ordinary people’s lives and emotions, which can be deeply poignant. The crowd-pleaser has racked up around 242m views. While adapting podcasts into TV has been in vogue for some time (SVODs such as Amazon are leaders in the field with dramas Lore and Homecoming), factual is now getting into the ring with Australian true crime podcast The Teacher’s Pet getting both drama and unscripted adaptations, as revealed by TBI earlier this week. Meanwhile, public broadcaster ABC Australia launched true crime podcast Unravel this summer, following its best journalists as they investigate unsolved crimes. The podcast was then turned into a three-part show for the main channel. Josie Mason-Campbell, head of unscripted for ABC, said podcasts as IP are appealing in the true crime space because they provide compelling “present tense” storytelling. The rise of SVOD has allowed content creators to play with the length of programming, with prominent examples this year including Vox Media’s Explained series for Netflix, in which 15-minute episodes focus on explanations of myriad matters, from female orgasms to K pop. New Zealand producer Kyle Murdoch, MD of Blue Ant-owned NHNZ, advocated for short-form natural history as a quicker way for producers to engage with audiences as they work on longer-term projects. “We looked at our footage and storytelling and realized that we can repackage and tell the same stories in small packets,” he said. NHNZ has now created a short-form label called Wild Studios to do exactly that. The business recently partnered with Borneo Orangutan Foundation to make Channel 4/Love Nature co-production Orangutan Jungle School. “We created lots of short-form clips, which were then promoted online by the foundation. It engaged a larger audience outside of the TV audience,” he said. Most channels and platforms are now creating content for a number of platforms. Nat Geo released its premium series One Strange Rock on Instagram’s IGTV earlier this year, while NHK shot its series Northern Lights with a 20K, 360-degree ‘all sphere’ camera that allowed a range of deliverables, including a flat-screen version in 4K and 8K, a full dome version for planetariums and VR component. While niche SVODs are struggling to survive against the new crush of heavy-hitting SVOD players such as Disney+ (RIP FilmStruck), Dutch distributor Off The Fence revealed more details about their SVOD offering Waterbear Network, which is described as Netflix meets Ebay, Expedia and Groupon. The platform is an interactive SVOD that connects users with NGOs, producers and broadcasters. “Many countries have multiple NGOs and they don’t connect with each other at all. It’s our ambition to connect all those NGOs together. They are generating footage to put up on the platform,” explained Off The Fence MD Allison Bean. “You have premium content that you pay for, but there is also content that is free. While Blue Planet could be playing that on main screen, there is a sidebar you can press to see the latest news on conservation and have a live chat with scientists.” If you’re interested in the manta rays you’ve just seen on screen, you can also look up travel options to that area.